Instead of doing a weekly round up post on a Sunday, I am now going to be doing a last week series on a Monday where I will round up the full week, so basically it is just a new name and new day. I will also be adding links to posts that I have done during the previous week. So last week was a fun one, I was at the football on Tuesday watching Bradford and we actually won a game, Saturday was spent going out for drinks on a girly day out topped off with watching the Guns and Roses Experience. 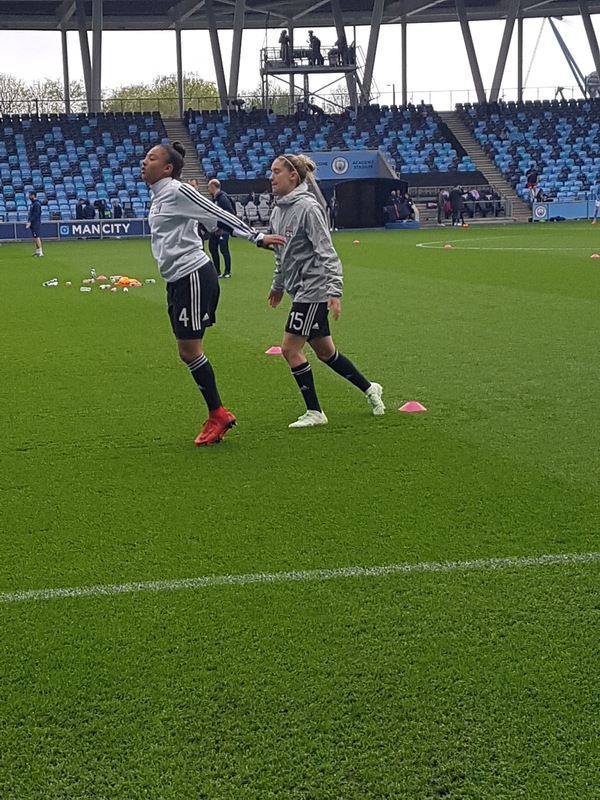 I have to admit I had a few too many to drink which made watching Man City Women in the champions league the perfect hangover recovery. 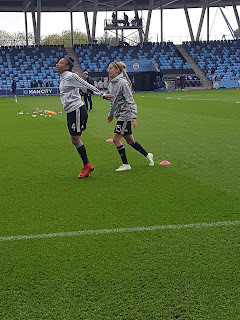 It was great being at the game with Lucy Bronze returning to the Academy Stadium and having such huge names such as Ademine Henry, Shanice Van De Sanden and Morgan Brian right in front of you. Been watching : I have watched a few football matches on the TV as well as watching them live, but other than that I have fallen back in love with YouTube whether I am watching a gaming video or a Primark haul, I have been loving it. Been reading : With us doing a lot around the house I haven't really sat down and read anything. In fact I have only read blogs and a football programme. Been listening to : I listen to plenty of music now with me walking too and from work. My current playlist is consisting of Fifth Harmony, Halsey, Demi Lovato, Camila Cabello and Hayley Kiyoko. Bought : I spent surprisingly less than I thought last week. I got 3 football shirts, one for me one for my mum and one for Liam, 3 badges at Man City, Ferdinand on DVD and some lights for the living room. I am just so glad that this week includes pay day.